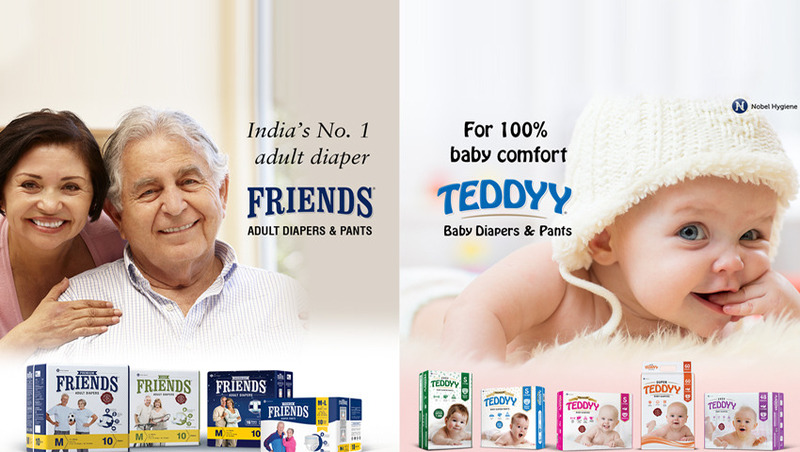 Offering you a complete choice of products which include friends maternity pads and friends adult inserts pad. Friends Maternity Pads are ideal for use after the birth of your baby & has Moisture Proof backing. Provides care by giving Extra long, soft and absorbent pad which converts liquid into gel; contains Non-slip adhesive tape so that pad stays in place. It has Soft Non-woven top surface, Super Absorbent Gel Core - which converts liquid into gel, Dry - Weave Topsheet - which keeps you feeling dry because of its funnel shaped holes that pull the wetness in and prevent it from returning to the surface. With Leak proof backsheet & Non Slip Adhesive Tape on the back. It is suitable for Maternity or Menopause, Women suffering from heavy flow during menstrual cycle and those suffering from light incontinence. Friends Maternity pads is having two variants one with Loop & the other with Tape on the back. 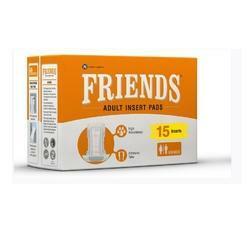 Friends Adult Insert pads are for light urinary incontinence protection. The super absorbent core material locks fluid & odour away from your body for drier skin and freedom from embarrassment. An adhesive strip holds the urine pad in place for a secure fit in underwear. Standard (Suitable for all waist sizes, need to insert inside the undergarment).